Every inch an artist, a young woman holds her violin in one hand, her bow in the other. 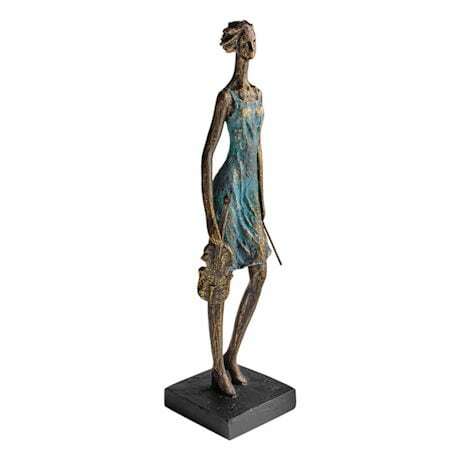 Cast resin with a distressed finish, sculpture looks like polished and painted bronze. For lovers of music, makers of music, or anyone whose kids or grandkids are studying Suzuki violin. 19" high.